As the automotive market moves quickly to advanced technology vehicles (Hybrid, Plug-In Hybrid, Extended Range Electric, Battery Electric, and Fuel Cell vehicles) businesses are trying to quickly adapt to this market that will yield incredible changes for business owners and technicians. With new government requirements of 54.5 mpg fuel economy by 2025, elimination of ZEV (Zero Emission Vehicle) credits and multipliers, and reduction of CO2 (Carbon Dioxide) gases, vehicle manufacturers are turning to electric propulsion systems in their vehicle platforms and portfolios to comply with the new requirement metrics. Electric propulsion systems are quickly becoming the “norm” for most companies in the light, medium, and heavy duty markets. Even the pleasure water craft industry is shifting to electric drive systems to decrease fuel consumption and increase performance. To support the rapid changes in the automotive service market, FutureTech has assembled a total solutions menu of products and services for automotive repair businesses, rebuilders, fleets, educators, and other markets to assist them in migrating their businesses to serve the growing service market of advanced technology products. FutureTech’s staff, contractors, and suppliers have more than 70 years combined experience in advanced vehicle technology diagnostic and repair software, hardware solutions development, and training courses supporting high voltage systems such as battery diagnostic and repair, motor-generator diagnostics and repair, power inverter diagnostics, dc-dc converter diagnostics, air conditioning systems, regenerative braking systems, and more. FutureTech’s commitment is to support customers in not only the advanced technologies but, also autonomous vehicles, electric watercraft, the medium and heavy duty truck industry, and any new business markets that surface in the coming years. 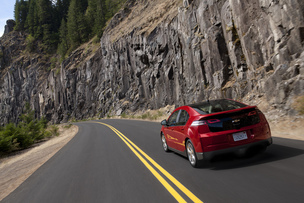 FutureTech’s resources have a rich history and experience in the electric propulsion systems area that range from building prototype hybrid vehicles, GM EV1 electric vehicle, GM Chevrolet Volt & Spark, and many other manufacturer projects. 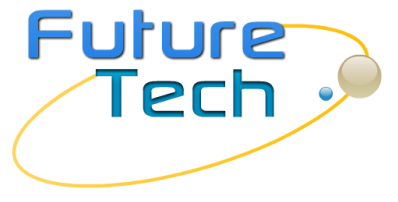 Many companies, businesses, and educational organizations have trusted the staff at FutureTech to support their entry and growth into the advanced technology market. The time is now to add advanced technology vehicle diagnostics and repair to your business or educational institution. Growing your advanced vehicle service business with FutureTech as your long term supplier makes it easy to expand your business offerings to support this technology for your customers. FutureTech will be there to support you with formidable innovative total solutions products and tech support to assist the industry in building a profitable advanced technology business.